Email tips: Do people respond to your emails in the way you want them to, or do they miss important information? When you compose an email message use these simple rules to ensure that your emails lead to action and create a positive impression. Keep your emails brief and focused on just one topic, this makes them more productive. Lengthy emails with multiple requests, too much information or multiple objectives hidden in the body of the text take longer to handle, are tougher to archive properly and can prove difficult to forward. What is the email about? “Meeting” is a little vague. Think about the recipient and the reaction you want in response to your email. Tailor your subject line to give details of the focus/point of the email.“9 am meeting wednesday 22nd to discuss project B” is more effective. Email tip: Consider one Point per Email. If you need to communicate with someone about a number of separate issues, try writing a separate email for each subject. This may mean more emails but reduces confusion. This way, the recipient can reply to each one individually and in the appropriate time frame. One email may only require a short reply, while others may require more research. With separate messages, you should get clearer answers, while helping other people manage their inboxes better. Email tips are about making email more effective. Be specific abut the Response you want. Do they need to take immediate action? What needs to be done, by whom and by when? 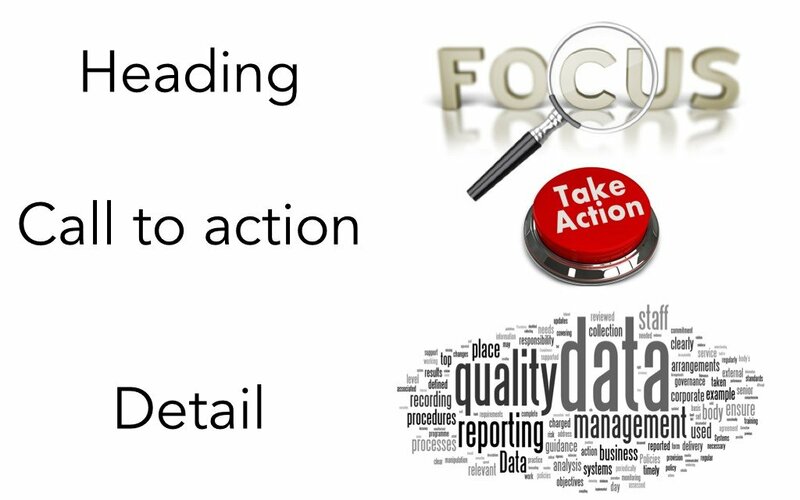 Make the desired action clear in the first paragraph – don’t bury the call to action near the bottom of the email. Make sure to include any details they may require to complete the task – such as a phone call or follow-up appointment. Make sure you include a clear email signature with your contact information, including your name, title, and phone numbers. Ensure your email signature is in clear text (not as a pdf). Clear text can be hyperlinked (website / email / cell). This is helpful even with internal messages. The easier you make it for someone to respond, the more likely they are to do so! 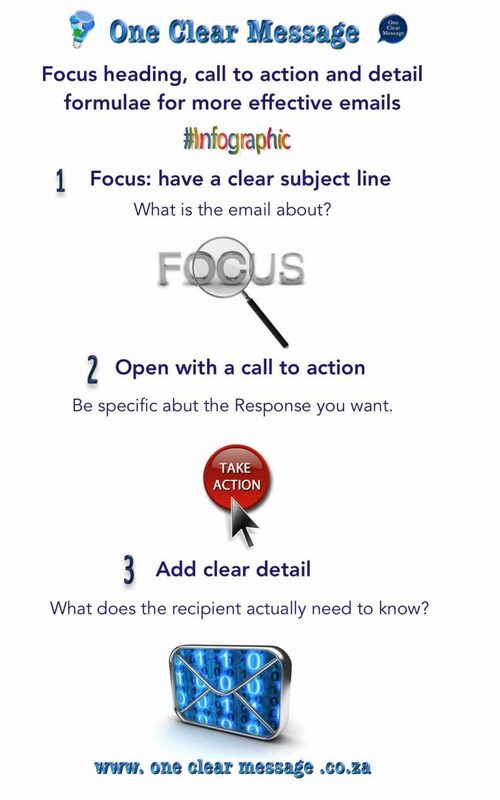 Key Email tips: What does the recipient actually need to know? A problem with too much information is that it overwhelms and confuses. 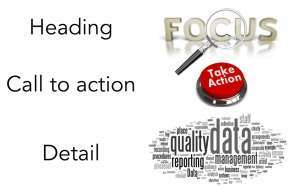 Keep the body of the email to relevant information relating to the topic / focus of the email. Use these Email tips to increase impact: Keep the recipient count low. When you need something to get done, email just one person if possible.